A.J. 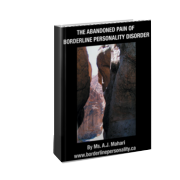 Mahari has written 5 ebooks that all deal with aspects of what she has termed the “core wound of abandonment” in Borderline Personality Disorder. 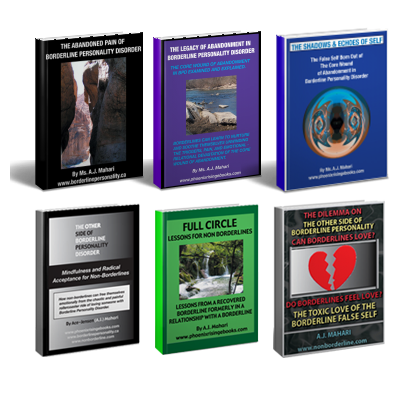 In this bundle you can purchase all 5 ebooks together. 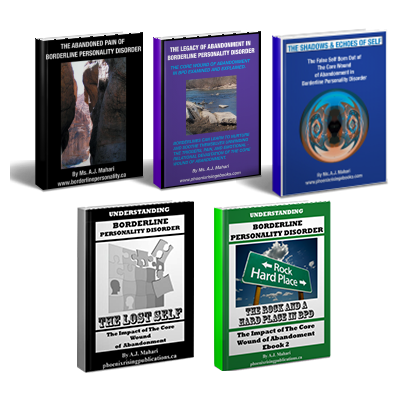 This bundle package is for anyone wanting to learn much more about Borderline Personality Disorder whether you have BPD or are a Loved One – a non borderline – and know someone who had BPD. Abandonment is at the core of Borderline Personality Disorder. This unresolved abandonment trauma plays an important role in everything “borderline”. 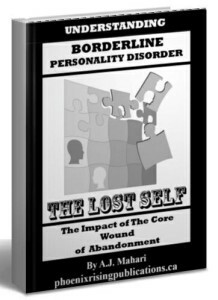 Understanding Borderline Personality Disorder – The Lost Self – The Impact of The Core Wound of Abandonment Book 1 features a thorough examination and explanation geared toward helping you understand Borderline Personality Disorder and gain insight into and awareness of the impact of the core wound of abandonment in BPD. 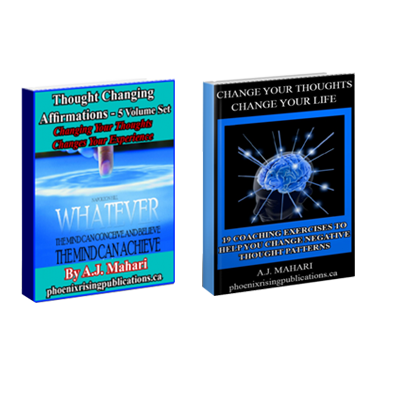 It is the first ebook in what will be a series of 3 explaining, from the inside out, the many layers and various aspects of the impact of what A.J. has termed the “core wound of abandonment” that she identified in her journey of recovery as the wound that is central to what BPD actually is and how and why it persists. This ebook includes 141 pages that provide a deeper understanding of Borderline Personality Disorder. 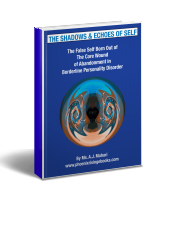 Mahari has written a series of 3 ebooks that explain, explore, examine and define what she has termed, “the core wound of abandonment in BPD. This ebook, the 4th in this series explains the on-going impact of unresolved abandonment when someone has BPD. Mahari outlines what she has identified as the impact of the core wound of abandonment. 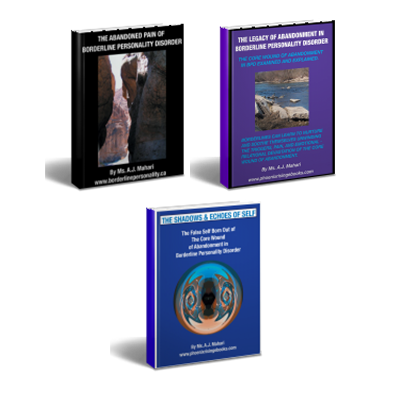 This 4th ebook, “The Lost Self” in this series provides understanding about how the core wound of abandonment has impacted the lost borderline self and what that really means in terms of how BPD is experienced by those who have it. This ebook “Understanding Borderline Personality Disorder – The Lost Self” – The Impact of the Core Wound of Abandonment will add to your understanding of the abandonment that is so central to Borderline Personality Disorder and how it drives every symptom/trait of that people with BPD manifest. First, one has to know what the core wound of abandonment is. And in this Ebook and the 5th Ebook of this series A.J. Mahari expands on the impact of this core wound of abandonment explaining many of the mystery puzzle-like aspects and manifestations of BPD so that those with BPD and those who are family members, loved ones or relationship partners of someone with BPD – non borderlines can really increase their awareness of just how to create the kind of change that recovery from BPD requires. 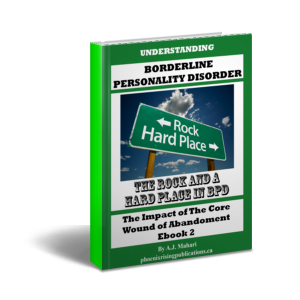 This ebook features 133 pages of must-read information that explores the reality of The Rock and a Hard Place of and in Borderline Personality Disorder – outlining how the unresolved abandonment of the core wound of abandonment in BPD provides obstacles to recovery that need to be understood in order to challenge them and to begin to – or continue to – get better. 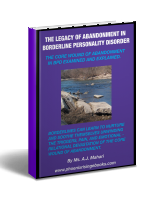 It is the 5th ebook in this series of 5 Ebooks on the central and most important aspect of Borderline Personality Disorder – abandonment and its consequences explaining, from the inside out, the many layers and various aspects of the impact of what A.J. has termed the “core wound of abandonment” that she identified in her journey of recovery as the wound that is central to what BPD actually is and how and why it persists. understanding this core wound of abandonment and the obstacles it presents to recovery will help those with BPD find their way to the healthy change they so long for. The Rock and a Hard Place in and of BPD looks at 35 main Rock and a Hard Place aspects of BPD for both those who have BPD or for those who are in any type of relationship to or with someone who has BPD – non borderlines. Mahari explores the question as to what is normal versus abnormal and looks the reality that there is normal in what is the otherwise abnormal of BPD. Also examined is Borderline Ambivalence, Fear, Defensiveness, Emotional Dysregulation, Borderline Projection, The Masks of BPD, Grandiosity and Narcissism in BPD, the impact of Negative Psychological Associations and BPD, BPD and Devaluation, Self-Harm and Borderline Skewed Reality. The Rock and a Hard Place in and of BPD will help you to understand much more about the inner-workings of Borderline Personality Disorder whether you are a someone with BPD looking for a way to increase your own awareness and insight or a non borderline in search of a better over-all understanding of why the person with BPD in your life thinks and acts the way that he or she does.